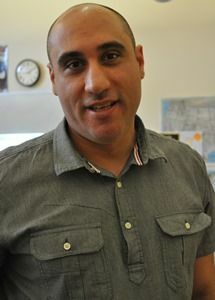 Teaching at both the high school and middle school levels in New York, Scott honed a student-inquiry approach that pairs with the progressive model at FCS. Here since 2015, Scott appreciates the opportunities for open discussion in a Quaker community. “Some of the beauty in history and even nature begs the question as to how such wonders have been created or occurred.” In Scott’s spare time, he likes to travel, play golf, and listen to music.